IN A RECENT STUDY, colorectal surgeons at the University of Virginia (UVA) Health System in Charlottesville posted some very impressive results: Since 2013, their patients have had dramatically reduced lengths of stay and fewer postop complications. But those achievements came about only because the surgeons threw out several universal practices in their field. Instead of making patients completely NPO for hours before surgery, pumping patients full of IV fluids during surgery, and relying on heavy-duty opioids and bed rest after surgery, the UVA team instead began using what’s come to be known as an enhanced recovery protocol. According to that protocol, patients were allowed to have clear liquids up until two hours before surgery and were also given nonopiate analgesics. During surgery, patients’ need for IV fluids was carefully monitored, while ketamine and lidocaine was used “along with a small amount of morphine in the spinal “for IV analgesia. And postop, patients were given clears in the PACU, roused out of bed that night, and given only judicious opioids for pain, as well as acetaminophen and other agents. The results? 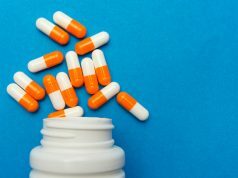 The study, which was posted online this year by the Journal of the American College of Surgeons, found that patients treated according to the protocol received nearly 80% fewer perioperative opioids compared to controls. 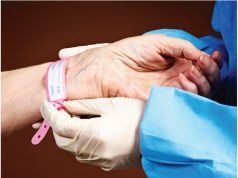 They also received two-thirds less fluids, and their incidence of surgical complications was 14.7% vs. 30.1%. Further, patients treated with the enhanced recovery protocol left the hospital 2.3 days earlier than controls for a savings of more than $7,000 per patient in direct costs. Patient satisfaction scores for colorectal patients treated according to the protocol rose 55%. Such protocols, explains surgeon and senior author Traci Hedrick, MD, have been used much more extensively in Europe than in the U.S.
Dr. Hedrick spoke to Today’s Hospitalist about the new approach. How difficult was it to put this protocol in place? It really is a very different way of thinking. The challenge is going up against a very deeply rooted bias based on years of tradition in surgery, particularly our heavy reliance on opioids to treat pain and on intravenous fluids during surgery. Typically, surgical patients get quite a bit of both, and both contribute to significant side effects that can prolong patient recovery. The new protocol affects not only how patients are treated preoperatively, but how anesthesiologists treat them in the operating room and surgeons and nurses care for them on the floor. It was a tremendous cultural change that took us about eight months to prepare for, providing everyone with the rationale and making sure everyone was onboard. 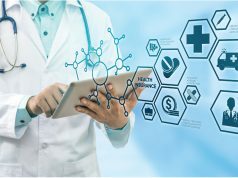 Why do you want to use so much less fluids and opioids? Because both have side effects and limited evidence to guide practice. As more research comes out, evidence suggests that patients just do not need all of those IV fluids and opioids, particularly for controlling pain. It’s just become our culture to rely on opioids as the primary means for controlling pain when, in fact, we have other agents that control pain very well without these very significant side effects. So the protocol relies on all kinds of different agents to target different pain receptors and to treat the pain in what’s called a multimodal way. That really tamps down the amount of opioids you need. Why was your length of stay so significantly lower? I think, No. 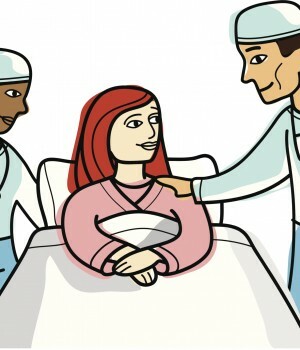 1, it was setting patients’ expectations, telling them ahead of time when we expected them to be discharged. And No. 2 is getting them to the point where they felt ready to be discharged earlier. The two keys to that are relieving their pain without all the side effects from the opioids, but also allowing bowel function to return much sooner. That’s traditionally what kept patients in the hospital, and all the fluids and opioids previously really prolonged that. The study mentions that some of these protocols do away with a bowel prep the day before surgery. But your team retained the bowel prep and combined it with antibiotics. Why? We think it reduces the infection risk after surgery. The most recent research we have says that when you clear the bowels and provide oral antibiotics, you can really reduce the amount of bacteria in the colon, and that translates to less wound infection. In fact, our study found a significant reduction in wound infections. You created this protocol for colorectal surgeries. Wouldn’t it apply to others? Yes, we just implemented it in March in the gynecology services. Our first three months of data are very promising and show very similar results with reduced length of stay, fewer complications and significant improvements in patient satisfaction. We’ve actually hired a nurse coordinator whose fulltime job is to help other services implement this. Now that it’s in place in gynecology, we’re moving on to another service, which will probably be the thoracic or orthopedic surgery service. Your protocol has more than a dozen elements. Is there a standard enhanced recovery protocol? No, and I think it is important for institutions to tailor the protocol to their own practices. If you look at all the published protocols, they are all quite different. In my opinion, there are five major tenets that must be adhered to. The first is to limit the amount of IV fluids in whatever way possible. No. 2 is to limit the amount of opioids by using other alternatives. No. 3 is to get patients ambulating as soon as possible. No. 4, get patients eating as soon as possible. And No. 5 is to really involve the patient and family in their care so they know exactly what is going to happen. Another important point: We believe the best way to manage surgical patients is through a team approach, and that’s what this protocol facilitates. Before, the nurses did what they wanted, the surgeons did what they wanted, the anesthesiologists did what they wanted and we didn’t really interact. But now we realize that what each of us does really affects the other, which ultimately affects how the patient responds. Now, the focus is on the entire perioperative period with a standardized, multidisciplinary team approach.